CameronLife are very proud to have been associated with the Handel and Hendrix London event – ‘musical celebration of Hendrix’s 1970 Isle of Wight Festival performance’. This was part of the museums ‘Friday Late’ series of live music held in Hendrix London flat. We were able to contribute a number of Charles iconic photographs and our in-house produced video presentation to help bring the 1970 I.W Festival to Brook Street, London. Formed in 1969, Black Widow were primarily renowned for their use of satanic and occult imagery, opening their spot with a banned track “Come to the Sabbat” at six o’clock on the Thursday evening. 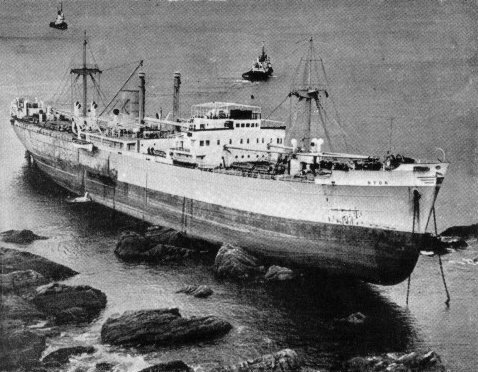 Despite taming their act down in anticipation of success, their future plans with CBS were put on hold whilst the record company concentrated on promoting Simon and Garfunkle’s new track, “Bridge over Troubled Water”. Later, a trip to the States resulted in their road crew absconding to join the Black Sabbath troop. Romeo Challenger, who was born 19th May 1950 in Antigua, later achieved fame with pop band Showaddywaddy. 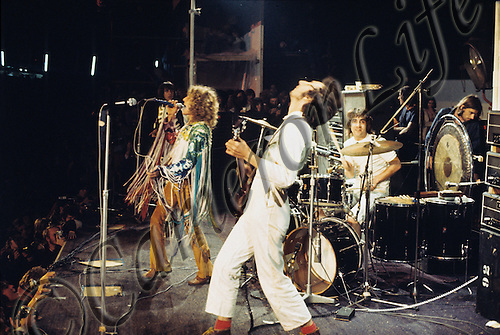 Pete Townshend, seen here on guitar for The Who at the Isle of Wight Music Festival 1970, is a talented self-taught musician who also plays keyboards, banjo, accordion,harmonica, ukulele, mandolin, violin, synthesiser, bass guitar, and drums – as well as being the main songwriter! He was born 19th May 1945 in Chiswick, Middlesex. 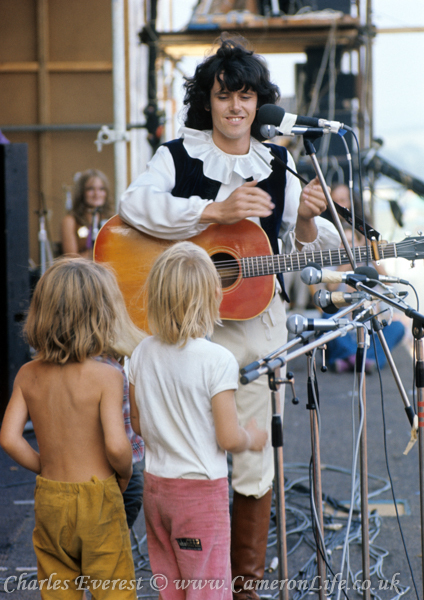 Donovan, who amused the audience with a rendition of “How much of a Pee do you Wee when you’re little and only three?” was born Donovan Philips Leitch in Maryhill, Glasgow. He now lives with his family in Ireland. You can follow him on his own website – click here. 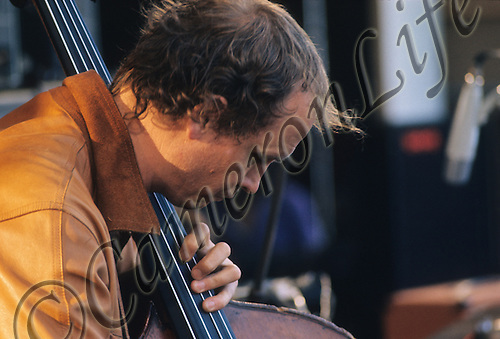 Danny Thompson is a multi-instrumentalist who performed on double bass with Pentangle at the 1970 IW Festival. 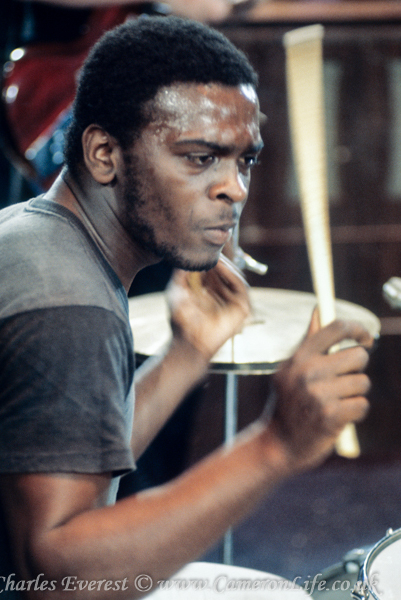 He was born 4th April 1939 in Teignmouth, Devon, UK. The CameronLife Team are delighted to welcome aboard our newest member – David (Davy) Arthur. We first made contact with Davy (a long-time friend of Frankie Miller) as a result of Glenys’ research to identify various unknown (to us!) artists caught on camera by Charles and to be included in the line-up for our imminent Exhibition at Swansea Museum in 2011. So delighted was David to have discovered the existence of his holy grail (photographic evidence of Frankie’s 1970 appearance with Howl at the IW Festival) that he travelled down from Edinburgh to Swansea just to attend the opening night and meet us. Over the ensuing years we have kept in touch and he has followed our development with interest and helped our sales by finding homes for a good number of Charles’ prints. Remember the guy who liked the company so much that he bought it? Well it is certainly true to say that Davy and CameronLife have bought in to each other big time! Davy comes to us with a lifetime of experience and high level contacts within the music industry, as well as an impressive CV covering a long sales and marketing career. Recently he has been busy running his own design business and, as a natural networker, he has developed top class contacts within that field as well. Add to this his skill set covering website and graphic design as well as print management and we feel truly fortunate to have such a dynamic and enthusiastic personality complementing so many of our areas of activity. Since he has the abilities to contribute over such a wide range we have found it difficult to come up with a suitable title for him! 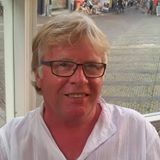 However, he will be taking the lead in person-to-person marketing and sales and, having recently moved from Scotland to Germany, will also be our lead representative in that country and the EU in general. 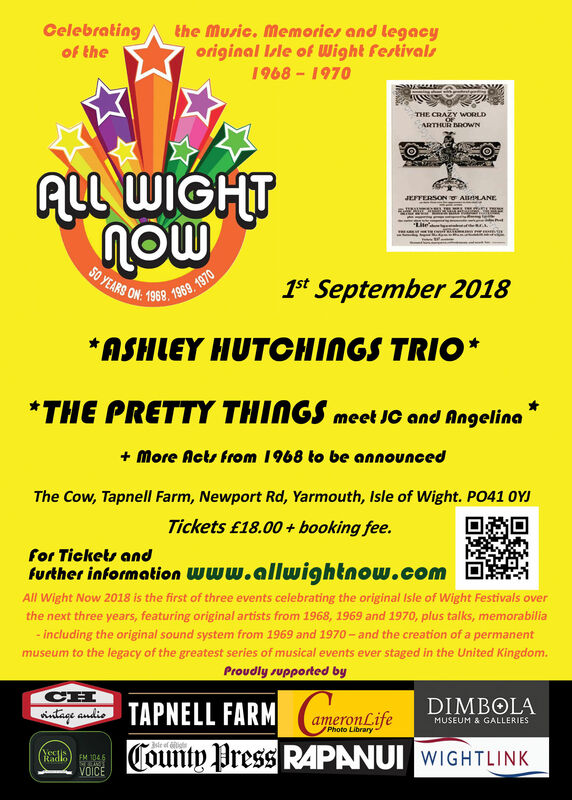 His strong interest in the music industry means he will be focussing on our new campaign celebrating the “3 Festivals” (Isle of Wight 1968, 1969 and 1970). Just to make sure he doesn’t have too much time to twiddle his thumbs he has also agreed to undertake a review of our branding. Davy can be contacted via email by clicking here. CameronLife are proud to be associated with this upcoming release. Chicago: VI Decades Live (This Is What We Do) will be released on 6th May. 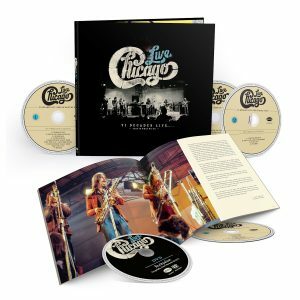 A 4CD/1DVD box set capturing the best of Chicago live between 1969 and 2014. A number of our images (including the one on the official product shot) are included in the accompanying booklet. 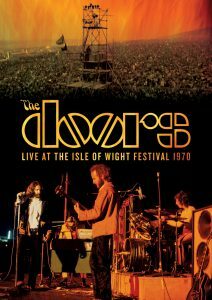 The first two discs – which represent a brilliant snapshot of a band on the verge of stardom – are dedicated to the entirety of Chicago’s headlining performance at the Isle of Wight Festival on August 28, 1970.